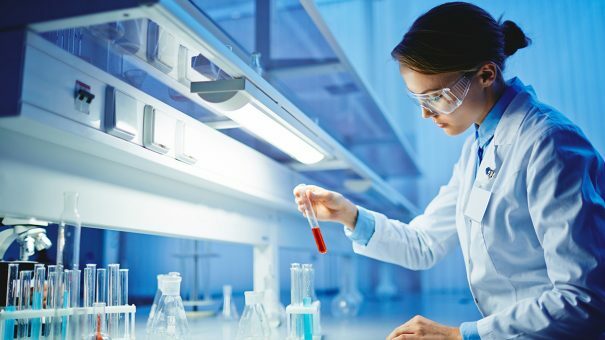 Over the years, many hands have been wrung over clinical trial recruitment – low participation rates are common and can bring down studies before they even get a chance to begin. Countless researchers have attempted to address the problem, yet it remains a significant stumbling block, slowing the speed of progress across the industry. But in a world of patient engagement and ubiquitous technology, part of the answer seems obvious – take it to the people, says Thomas Wicks, chief strategy officer at trial disclosure specialists TrialScope. For the average person, clinical trials have traditionally been difficult to find and even harder to understand. But things are starting to move on thanks to shifts in thinking and advances in technology. “What’s changed in the last few years is that we have seen a shift towards patient engagement, and we are starting to see a more progressive approach to communicating with participants,” says Thomas, who has worked in trial disclosure for 12 years. Sponsors are now starting to build clinical trial websites that seek to serve the needs of patients, focusing on education and including plain language information. It’s all happened not a moment too soon, according to Thomas, who says the challenge for pharma companies had always been how to reach ordinary people in such a noisy, complex environment. “If I Google lung cancer, for example, I will get page after page of results but very few will have anything to do with clinical trials,” he said. “When you do find something, it is in an environment aimed at researchers, not patients. The trial titles and inclusion/exclusion criteria are highly scientific. Whether someone can find a trial depends on their technical ability, and whether they can understand what it is when they do find it depends on their health literacy. It means very few participants self-enrol, despite both these barriers being very easily overcome, adds Thomas. Patient-friendly sites should be easy to navigate and accessible from smartphones, and they should contain plain language information. They also need strong SEO so they can be found in the first place, Thomas adds, explaining that potential participants may not know which sponsor is running which trial – or even that clinical trials exist. “These things are not difficult to implement. The challenge is sourcing the patient-relevant data,” says Thomas. “Pharmaceutical companies are good about writing and posting their protocols and working with their sites and investigators, but many do not have consistent or reliable processes for authoring trial information in plain language. “Sometimes there’s cultural resistance internally because scientists, quite rightly, want to be extremely accurate and plain language simplifies things to the point where maybe the scientist is no longer comfortable,” says Thomas. This challenge is “not unsurmountable”, but overcoming it requires commitment from the right level of seniority and, crucially, the right resources. As more companies operate in this way, and more pilots are rolled out, though, it is becoming increasingly clear that the benefits outweigh the risks. Some companies are taking transparency one step further by building sites that direct unsuitable candidates to alternative trials sponsored by rivals. “We are just seeing the beginnings of this,” said Thomas. At the end of the day, Thomas believes, utilising technology to help potential trial participants understand and engage in research “is the right thing to do”. “It gives patients the confidence that they have control, that they have the right information and that they can have a more meaningful conversation about their health. “Patient centricity and patient engagement are more than catch words. There is an opportunity to operationalise these things and make sure there are systems in place that are helpful to patients,” he concludes.